This week, last year: our market menu, featuring the hilariously informative sketch of the mythical vegetannual. We’re currently in the leafy green base part of the season, and will remain there for a few weeks. My garden seems to have gone from March to June in the last week and a half, totally skipping April and May. Everything’s green (except for the Japanese Maple that apparently died in the fall – major sadfaces here! ), and our rhubarb has already shot flower stalks up to the sky. But as with all green things, garden or farm, we take what the weather gives us, right? 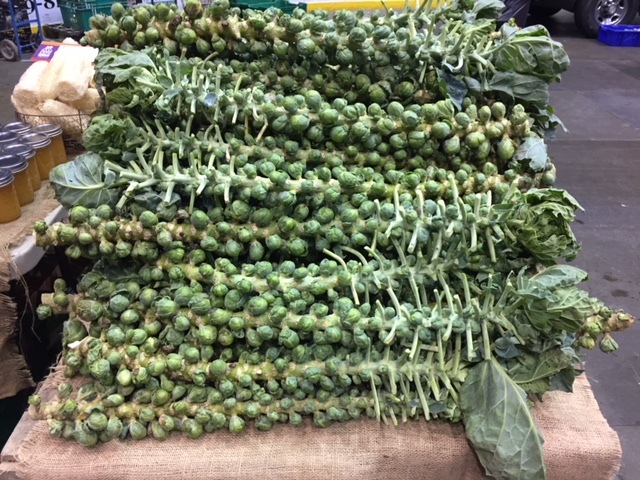 So, at the market this weekend, we should definitely be seeing more asparagus and rhubarb, plenty of greens — including fresh cut herbs — and small/shallow roots like radishes and turnips, thanks to farmers with hoop houses, who got an early start!! Hot Pink Rhubarb Compote – delicious in oatmeal or over yogurt, probably amazing in custard, according to the Brits. Rhubeena – a syrup/cordial, to be added to club soda or other drinks throughout the summer. Rhubarb Crisp – I love the oats and nuts in this recipe, but it would be just as delicious if you were to make it nut-free. It calls for AP flour, but I see no reason why you couldn’t substitute rice flour or another gluten-free option, since the dough doesn’t need to hold any kind of structure. Shaved Asparagus Salad – a little extra work, but if you’re going for something unusual, it’s worth it. The little roots might need a bit of promotion, though. I really like spring turnips sliced on a mandoline (less than 1/4″ thick), sprinkled with a little salt and pepper, raw. 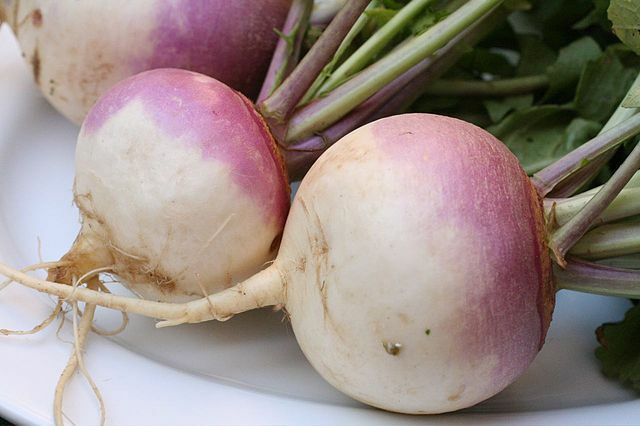 They’re mild in the spring — it’s a great time to try turnips — and the white haukerei variety that’s become more popular in recent years are practically juicy like a fruit. You can also do a quick pickle, with vinegar and salt and pepper and a little ginger. The haukerei are delicate enough, you don’t want to overwhelm them with flavors. But that’s only if they make it in your crisper long enough to get to the pickling jar!! This farro salad with turnips and greens is also super lovely. I also like to slice radishes on the mandoline (watch the fingers, though — get one of those knife-safe kevlar gloves! ), either to add to salads or eat raw. I tried pickling them last year, and didn’t love the results. I usually enjoy radishes raw, but sometimes they do sit in the fridge awaiting an idea for something different; this roasted radishes w/ radish tops (and brown butter!) is the something different I found at one point last year. It’s really nice, mild and perfect for taming the heat that radishes can bring sometimes. Though radishes can be stored short-term, we’re at the peak of their fresh season right now, so enjoy them! Rogue Carrots just off downtown Bloomington, drop them a line! *Do you know of a local farm doing on-farm events or farmstand sales, not listed here? Please let us know, and we’ll add it! It’s time for the December Indoor Market, and a special edition of the Market Menu! The indoor market is held at the Grossinger Arena in downtown Bloomington. Use the Front St. entrance for the December market; the vendors will be in the space just inside those doors, by the concessions. Free parking is available around the corner by the Pepsi ice center, or across the street. Grandpa Bill’s Gluten Free Bread – gluten-free gingerbread and cookies! Breakfast wheat berry bowl – if you want to save some time, I bet these would cook up superquick in the Instant Pot! (also: wondering about wheat berries? Check out this post on The Spruce). I honestly can’t tell most days whether it’s supposed to be fall or still summer. The leaves are just starting to change, the root vegetables are ABUNDANT, and occasionally there’s an actual chill in the air in central Illinois. Since we’re wrapping back around, in a way, to some beginning-of-the-season offerings (greens, herbs, radishes), I thought I’d pull up selections from prior weeks. Do you have any favorites? We’d love to hear from you! Check out our Facebook page and message us! This dish is one of my favorites from Smitten Kitchen, and a great alternative to green salads when you have vegetarians to feed. It’s absolutely amazing when made with locally-grown carrots. If you haven’t had them raw, you’re in for a treat; they’re almost as surprising as a local tomato, I think. This recipe is great with or without the harissa — a spicy, garlic-y paste/spice mix. You can make your own, substitute it with another garlic-y chili paste, or just leave it out altogether. Pantry Check / Shopping list: carrots, caraway seeds (optional), cumin seeds, paprika, harissa (optional), sugar, lemon, flat leaf parsley, fresh mint, feta cheese. Here’s a base recipe for the frittata (from Epicurious). To that base, add what you have! I like greens, herbs, potatoes, cheese, maybe some bacon or ground pork. If you have leftover roasted root veggies, chop them up (bite-sized) and add them as well; I think it actually works best when you have pre-cooked potatoes (or carrots or sweet potatoes)! 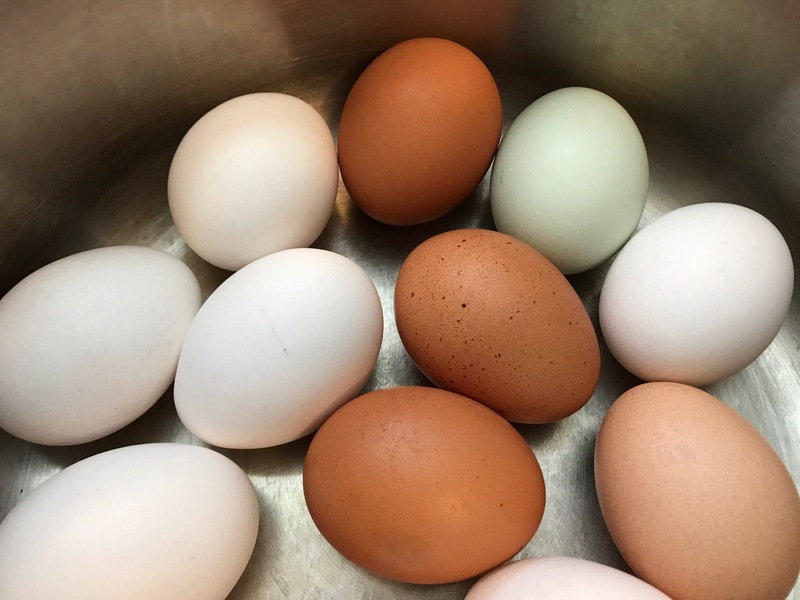 Pantry Check / Shopping List: chives, spinach or kale, eggs, potatoes, milk, sausage (optional), goat cheese (chevre). Thai Carrot Sweet Potato Soup (Cookie and Kate, from the Oh She Glows Cookbook) – with red curry and peanut, lime and cilantro!! So easy, though it does call for a lot of stirring. There are a lot of recipes out there for polenta with a braised or steamed green (try beet greens!). This recipe from Food.com has swiss chard and a topping with dried fruits and nuts, as well as cheese (which is a must for polenta, in my opinion). Pantry Check / Shopping List: Swiss chard, crushed red pepper flakes, golden raisins, yellow cornmeal, milk, grated parmesan cheese, pine nuts. Green Chickpea & Chicken Curry w/… The recipe is written for swiss chard, but did you know that beet greens are like identical cousins? They’ll do very nicely in this recipe. Magic Sauce – From 101 Cookbooks, this stuff is like liquid gold… use it on eggs, pasta, potatoes, just about anything. It’s time for another Market Menu! While fall brings some cooler-weather items back to the market, the list of offerings is HUUUUGE compared to spring! I don’t ever get tired of roasting root vegetables, and I could probably eat them every day, but I might not say that in a couple more weeks. So I definitely want to put some casseroles or soup into the freezer for busy weekdays later on. The roots don’t freeze so well, but most everything else does! I’d love to get another batch of red pepper soup together, and maybe some chicken and vegetable. Neither are very labor-intensive, and they’re super tasty in the middle of winter. I’ll post recipes on our facebook page, such as they are. So, what else is on the menu for the week? 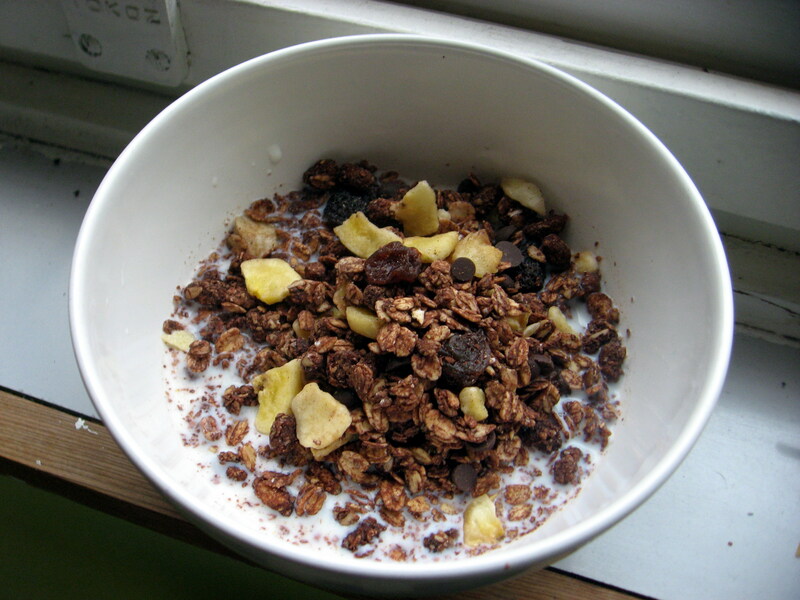 whole wheat berries with fuit and honey and a splash of cream or yogurt. Once cooked (and they take quite a while to cook! ), these keep well in the fridge for a second day, so I like to make a batch on the weekend. They’re even tasty cold, in a pinch. For something hot and hearty, a big pan of frambled eggs with kale, magic sauce and some local sausage will do the trick. They actually aren’t bad pre-made and portioned into cups for enjoying later in the week. I like to chop the kale and sausage and mix them in with the eggs before putting into individual portion-sized containers. Add magic sauce when you reheat during the week (before putting in the microwave). hummus, roasted sweet potato, lettuce, pickled beets, watermelon radishes, shaved carrots, quinoa and a little cheese, with some lemon-tahini dressing on top. roasted carrots and parsnips, toasted bread, hard-boiled eggs, garbanzo beans, and feta or chevre. Autumn Market Salad – Bon Appetit. With butternut squash, arugula, walnuts, oj and lemon. Now playing at the market: Winter Squash!!! If you’re a fan of the acorn, butternut, hubbard, kabocha, delicata and other squashes, this is your time! 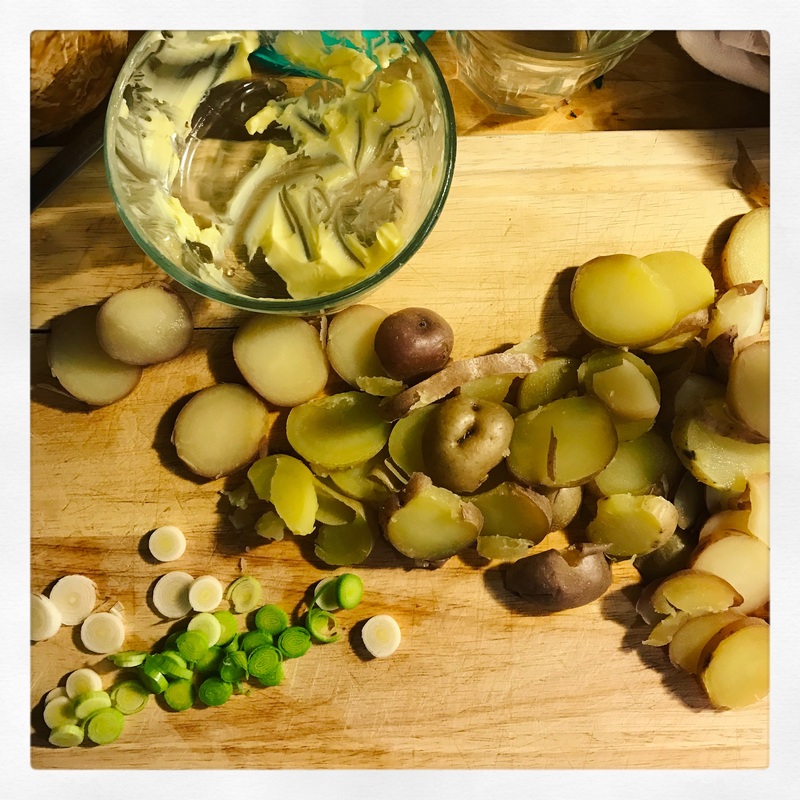 Potato-Leek Gratin – something to do with your leeks and potatoes besides soup! Roasted Vegetable Pizza – the combo is up to you! I love little bits of things: pickled fennel, olives, dried tomatoes, sauteed onions (slow and low, to get them caramelized), chevre and pork sausage, with a little shredded mozzarella on top. Butternut Squash, Apple and Onion Galette w/ Stilton – Food Network (but many versions of this recipe are out there, including this one without the apple, and this one with brie). A galette is a sort of pie with a freeform crust. Instead of baking in a pie plate, galettes are usually baked on a pan, with the edges folded over the ingredients (but not all the way to the center). Don’t be intimidated by the pastry! A quick trip in the food processor will combine the ingredients, and a large ziploc bag works wonders at bringing the pastry together without making a mess. Galettes are fantastic to have in your repertoire, because you can use the pastry to wrap sweet or savory ingredients. And just like pies, you *could* freeze them for future baking. Enjoy the last few weeks of the market! And don’t worry – – we’re not going away when the outdoor market shuts down for the season. 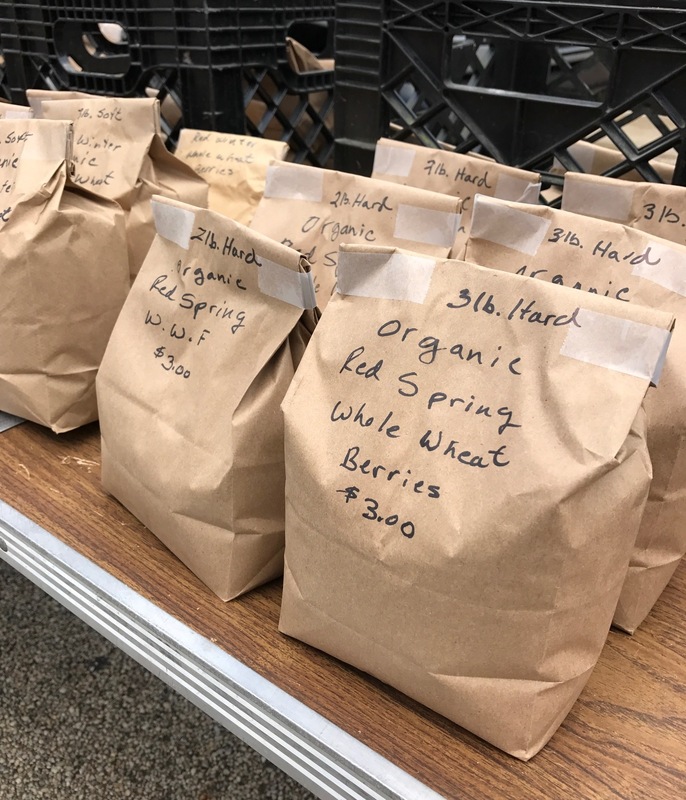 We’ll be talking to our farmers about their winter cover crops and planning, writing about working through stored produce, and hunting for those elusive winter crops! !